DC's flagship Justice League comic is getting a major roster overhaul this summer, but one that should be plenty familiar to fans of the 2001 animated series. The relaunched Justice League #1 will introduce a new team consisting of Superman, Batman, Wonder Woman, Green Lantern (John Stewart), Cyborg, Aquaman, The Flash (Barry Allen), Martian Manhunter and Hawkgirl. As DC previously announced, Dark Nights: Metal writer Scott Snyder will be taking the reins of the series (following May's Justice League: No Justice crossover series). However, today the company revealed that Jim Cheung (Spider-Man: The Clone Conspiracy) and Jorge Jiménez (Super Sons) will be the first two artists on the series. Cheung will draw Justice League #1 (due out on June 6) and Jimenez will draw issue #2 (due out on June 20). Warning: This article contains spoilers for recent episodes of Arrow! Not everyone needs superhuman powers to stay competitive in the DC Universe. For a select few, it's enough simply to be very smart and very good at martial arts. And if there's anyone who can give Batman a run for his money in that department, it's Richard Dragon. With Dragon playing a pivotal role in Arrow: Season 6 lately (in the form of Kirk Acevedo's Ricardo "The Dragon" Diaz), we figured now would be a good time to break down the character's comic book history and how a benevolent teacher became a bloodthirsty crime lord. Even in a world full of martial artist superheroes like Batman and Nightwing, Richard Dragon is widely regarded as one of the greatest fighters alive. This elite warrior rose up from humble origins to become a master of both martial arts and philosophy. But while he once used his skills to directly battle evil, he generally prefers to keep a low profile and serve as a teacher to other promising martial artists. He's responsible for helping train everyone from The Question to Huntress to original Batgirl Barbara Gordon. The New Gods Explained: Who Are the DC Characters? The New Gods are back in the spotlight. Not only did the DCEU begin delving into the complex mythology of the Fourth World in last year's Justice League movie, now WB has announced that Ava DuVernay has signed on to direct a dedicated New Gods movie. If you're not sure what the Fourth World is or how these cosmic heroes and villains fit into the larger tapestry of the DCU, now is the time to get caught up. Fortunately, we're here to help. Scroll down to find out everything you need to know about the New Gods. The New Gods are a race of highly powerful beings who live in the Fourth World, a realm far removed from the rest of the DC Universe and accessible only by advanced teleportation technology called a Boom Tube. Once this realm consisted of a single, primeval world called Urgrund. But that world was split in two after a cataclysmic war, and now the Fourth World consists of two planets - peaceful, idyllic New Genesis and hellish Apokolips. The former is ruled by the benevolent Highfather, while the latter is a realm populated by slavers and slaves, all dominated by the tyrant known as Darkseid. The old IGN Comics review roundup may be retired, but we still want to make sure readers have a place to come together and discuss their favorite books of the week. Scroll down to check out some of our reviews and opinion pieces from the past week, and then head down to the comments section to get the discussion started. 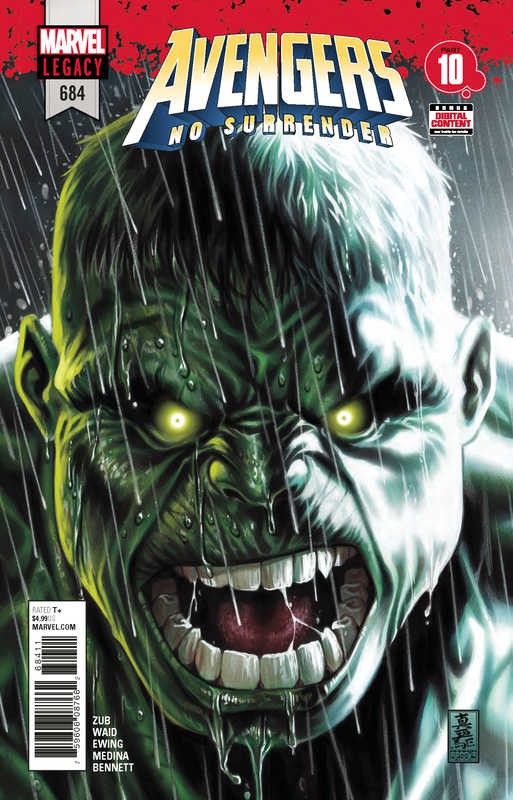 How Did Marvel Comics Bring Back Hulk? Bruce Banner and his ultra-strong alter ego are back, and the latest issue of The Avengers explained how Hulk returned from death. Warning: this article contains spoilers for The Avengers #684! For those not up on Hulk's recent history, Bruce Banner had seemingly cured himself of his Hulk problem in the aftermath of 2015's Secret Wars, with the Hulk mantle passing to teen genius Amadeus Cho. Banner himself resurfaced during the course of 2016's Civil War II, where Hawkeye shot him dead with a gamma-irradiated arrow. Hawkeye thought he was preventing a devastating Hulk-out, but others felt he had simply murdered an innocent man. There's a new Superman TV series hitting the air this month, but it doesn't actually star the Man of Steel. Instead, Krypton will dial the clock back a couple of generations to focus on Superman's grandfather and the events that preceded Krypton's destruction. This is hardly the first time the planet Krypton has been featured on television, but the new series promises to give fans their closest look yet at the world that birthed a Superman. To help prepare for the show, here's everything you need to know about Krypton's comic book origins. In its prime, Krypton was home to one of the most advanced civilizations in the DC Universe. Kryptonians look pretty much identical to humans, but they enjoyed technology and resources centuries ahead of anything humanity has to offer. Unfortunately, that technological superiority, combined with a growing sense of xenophobia, caused Krypton to shut itself off from the rest of the universe. And when respected scientist Jor-El found evidence that the planet was about to be completely destroyed, few of his fellow Kryptonians were willing to listen to his pleas. The planet died, taking the entire Kryptonian civilization with it. Only Superman and a handful of other survivors remain to carry the torch for this once-great civilization. The Ghostbusters franchise has gone through a number of varied incarnations over the years, transitioning from the original movies to animated series like The Real Ghostbusters and Extreme Ghostbusters to the 2016 movie reboot. 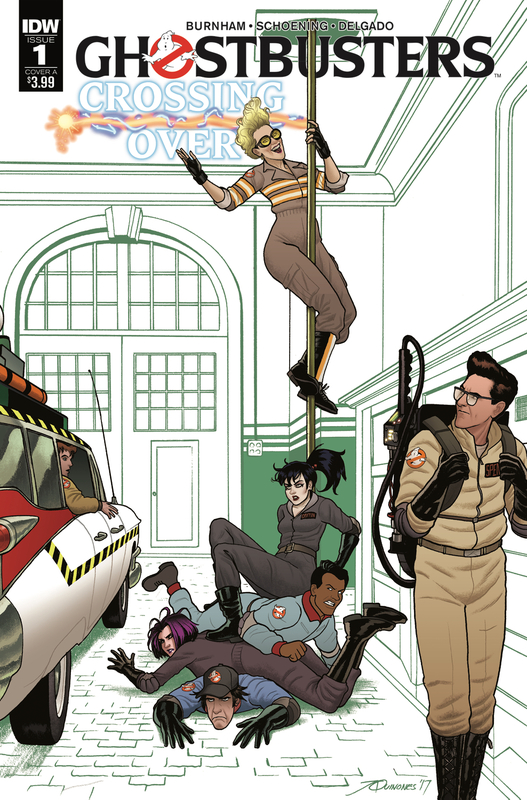 One of the perks of IDW's long-running Ghostbusters comic is that all of these incarnations are allowed to coexist and intermingle. These books have established an entire Ghostbusters multiverse (one in which the Teenage Mutant Ninja Turtles also exist, because why not?). 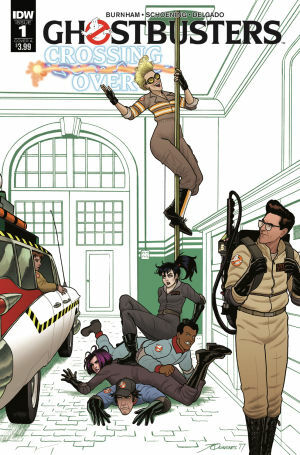 The premise with IDW's latest Ghostbusters comic couldn't be more straightforward or appealing. What if every incarnation of the Ghostbusters joined forces for one epic, paranormal adventure? Marvel Comics kicked off a new digital comics sale yesterday, one that sees roughly 300 graphic novels marked down to a measly 99 cents each on both Comixology and the Amazon Kindle store. That's about as good a deal as fans are likely to find these days. But while the prospect of being able to buy critically acclaimed books like Vision: The Complete Series and Thor by Walt Simonson for less than a buck is great for readers, this sale raises some significant concerns about an industry still grappling with the newfound challenges of the digital market. Netflix has finally unleashed the second season of Marvel’s Jessica Jones. Not only does the new season continue the journey of the titular heroine and friends like Trish Walker and Jeri Hogarth, it also crams in plenty of references to the comic book source material and even inducts a few new Marvel characters into the MCU. From the debut of The Whizzer to the obligatory Stan Lee cameo, here are all the Easter eggs and hidden references you might have missed in Season 2. Jessica Jones Season 2 is currently available to stream on Netflix. You can check out our reactions to every episode here. After that, find out what we think the ending means for the future of the series. 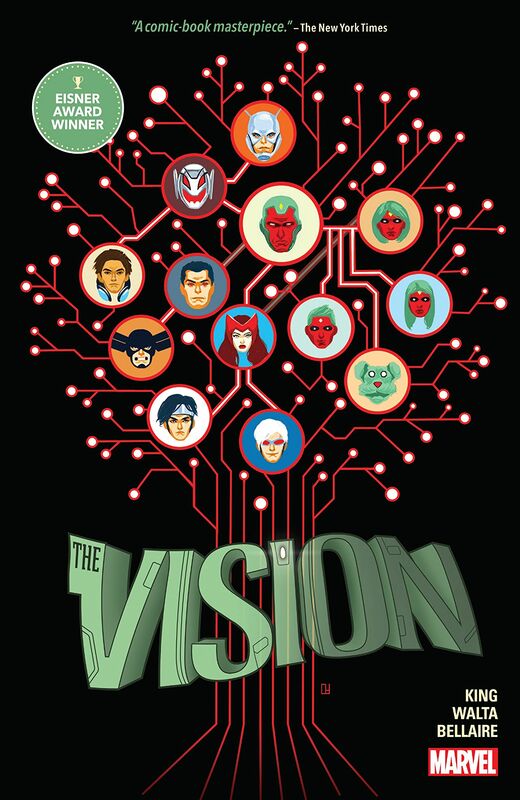 DC Comics has had a very busy past few months, between signing Brian Michael Bendis to an exclusive contract, launching the New Age of DC Heroes line and announcing all sorts of new imprints like the YA-focused DC Ink and the Neil Gaiman-curated Sandman line. As Heath Ledger's Joker would say, it's a period of aggressive expansion for the company. That trend continued this week with the announcement of DC Black Label, another new imprint focused on edgy, personalized takes on classic DC heroes. At this point, there's more DC Comics content in the works than any one reader can hope to consume. But that's not a bad thing. That ambitious, guns-blazing approach is just what the industry needs right now.